Angela Caiger (Witney, Oxon) – ‘Defy and Die’ (crime): Three years after his girlfriend is murdered, Dan Wright, a part-time private detective, heads to Mykonos to reconcile his differences with his father, Graham, only to find him killed. Debrah Martin (Wantage, Oxon) – ‘Falling Awake‘ (literary with touches of dark fantasy): A red-headed woman lies death-like in an asylum, clutching a strange old book. Louise Morrish (Alton, Hampshire) – ‘Flesh and Blood‘ (historical (WW1)): 1917: Disguised as a soldier, a brave young woman must fight for survival in the trenches and tunnels of Flanders, in a desperate search for her missing brother. Rosie Orr (Oxford) – ‘Starting Over’ (contemporary women’s fiction): Young bride Alice Walsingham’s left with the mother-in-law when Hugo Walsingham leaves with the gay neighbour, Titus. Caroline Wills-Wright (Chipping Norton, Oxon) – ‘Where Two Rivers Meet‘ (Y.A. ): In a ravaged and bleak future, not too far from now, young Mella survives, somehow. Doc Andersen-Bloomfield (Chipping Norton, Oxon) – Straight-Edge (Y.A.) After their mother’s death, how does teenager Rodney and his brother Greg cope with what life and hormones throw at them. Katie Carr (Stratford upon Avon) – A Cuckoo Crying (saga): Set in Warwickshire between 1925 and 1941, ‘A Cuckoo Crying’ is one volume in a planned series of five, following the Lambert and Fletcher families from the Edwardian era to the late 20th century and spanning three countries during a period of enormous upheaval. 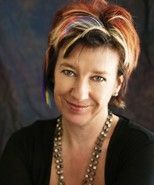 Barbara Weeks (Carmarthen, Wales) – The Book of Mercies (historical): Hannah Allen is a radical bookseller who writes of her contrary nature in her Book of Mercies, a diary of sorts; at first a source of comfort but is later used against her when she is drawn into a rebellion against the Restoration. If you submitted and your name is not listed above (or on the longlist below), please don’t be too disheartened. We had even more entries than last year and the standard was incredibly high. Jane and I had a tough job deciding who to pick… fun though it was. You can listen to last year’s event here on YouTube… and Tickets on sale via 01608 642350, visit www.chiplitfest.com for the full programme and / or click here for the event itself. Literary agent Carole Blake (pictured right) teams up with author of Wannabe a Writer?’s Jane Wenham-Jones for this interactive ‘reality show’ event. Submit the first 1,000 words of your novel in the form below by 20th March 2015 (entries over the 1,000 words excluding title will be disqualified) together with a strict 250-word maximum third-person biography (as if someone else is describing you) and strict 250-word maximum synopsis of your novel including the ending. Successful applicants must be able to attend the ‘Pitch the Agent’ event at Chipping Norton Literary Festival at 10am to 11am on Saturday 25th April, and must be comfortable with a public critique of their work. I have just completed the online entry form for the critique competition. I notice that all my formatting is missing and each section is viewed as one long piece of prose. Please confirm that is correct. I would hate to be thrown out due to this. Thank you very much in advance. Nicola. The formatting isn’t an issue, just the content itself. I’ve processed your application and everything fits the word counts etc. so will go through to the judging stage. We’ll be in touch if you’re successful. Mine too … so I guess that is how the automated system processes entries? Hello Jo. Don’t worry about the formatting. I’ve processed your application and everything fits the word counts etc. so it will go through to the judging stage. We’ll be in touch if you’re successful. Thank you, Tina. We have no automated entry process but I can confirm that it has been received. Hi Morgen – I’ve just entered the competition. Sounds exciting! Can you confirm if the entry for the event given to successful applicants is for the Pitch the Agent event only or does it cover other events at the festival. Also, when will I hear if I’m short listed? CJ. Hi Chris. Entry is to this event only. I have amended the wording in the terms to make this clearer. Entry closes tonight and successful entrants will be notified by the end of March at the latest. An announcement will made on this site as well as on social media (Facebook and Twitter) and the successful entrants notified via email. Received and replied. Thank you, Doc. Hello, I am just curious as to whether one needs to have completed a novel MS to fill out the form to apply for this event, or if it can be entered with a work in progress? Many thanks. Hello, Matt. At this stage, it doesn’t have to be finished. We only need to see the first <1000 words but we do need a <250-word synopsis so you would have to know a rough plan of your start, middle and end.